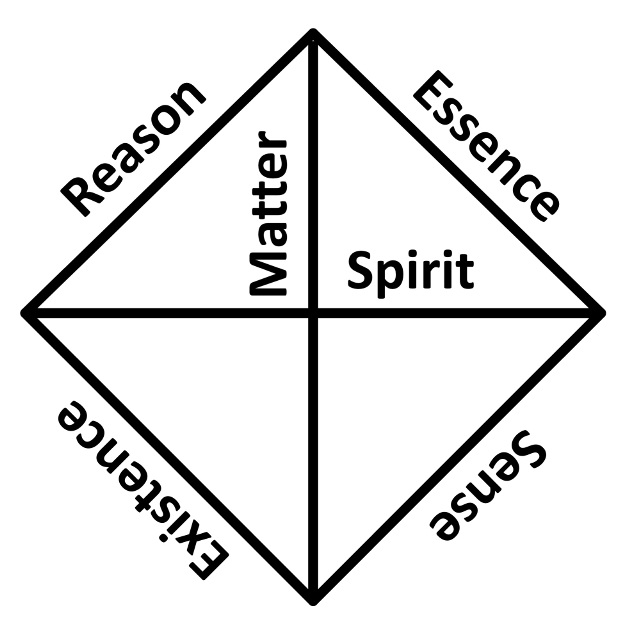 Eric A. Meece’s web site philosopherswheel.com has been in existence for a while, and it claims there is a forthcoming book called “The Philosopher’s Wheel”. This seems like an interesting project and it’s a shame that the book is still “in process”. Meece has certainly been working on these ideas for a few years. Starting with a Master’s thesis in 1979, and a presentation in 2001, he also has a collection of articles available to the reader that are related to his theme. I’ve tried to represent these dualities a little differently than Meece. 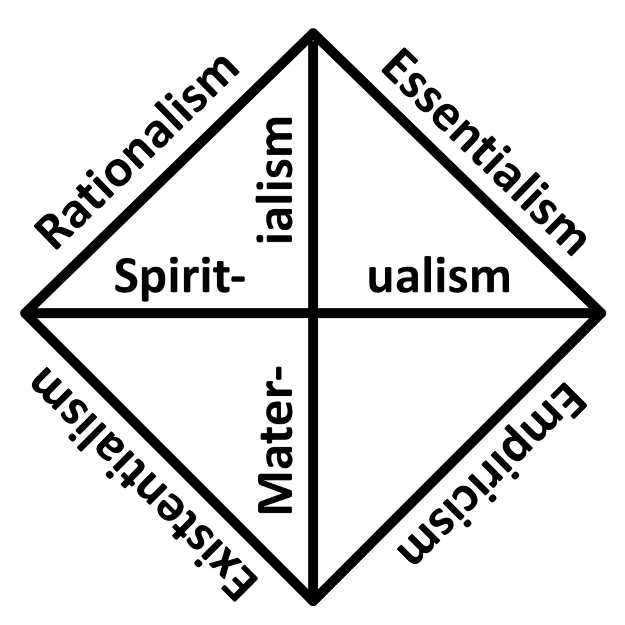 Note in the above diagram that Materialism mediates Rationalism and Empiricism, and Spiritualism mediates Essentialism and Existentialism, similar to the wheel representation. At right is an attempt at eliminating the “isms”. Perhaps I should have read some more of his writings before making these efforts. This entry was posted on September 24, 2017 at 7:01 AM and is filed under architectonics, fourfolds, Philosophy. You can follow any responses to this entry through the RSS 2.0 feed. You can leave a response, or trackback from your own site.